The Macanudo Gold Label Shakespeare is a Limited Edition cigar line that adds a unique, new taste to the Macanudo cigar line. Macanudo Gold Label is known for its smoothness and consistency, while at the same time offering a wide spectrum of flavors to please the palate of any cigar aficionado. The Macanudo Gold Label Shakespeare is a Limited Edition cigar line that adds a unique, new taste to the Macanudo cigar line. 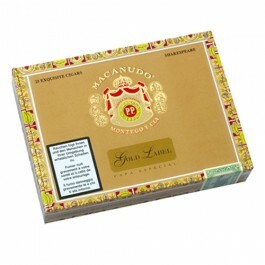 Macanudo Gold Label is known for its smoothness and consistency, while at the same time offering a wide spectrum of flavors to please the palate of any cigar aficionado. 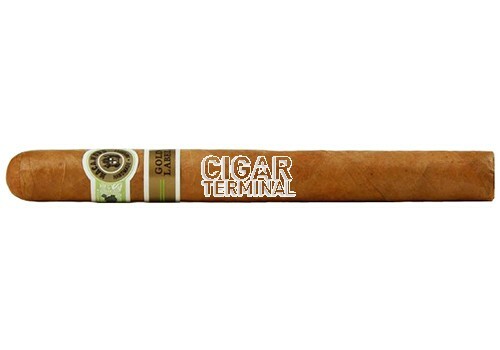 Macanudo Gold Label uses golden Connecticut Shade wrapper leaves to create it's distinctive taste.